Start off your visit on the 1st (Sun): appreciate the history behind Liberty Bell Center. Here are some ideas for day two: get engrossed in the history at Eastern State Penitentiary, stroll through Wissahickon Valley Park, and then ponder the design of Longwood Gardens. To find where to stay, other places to visit, and tourist information, use the Philadelphia travel website . Bydgoszcz, Poland to Philadelphia is an approximately 14-hour flight. Traveling from Bydgoszcz to Philadelphia, you'll gain 6 hours due to the time zone difference. Traveling from Bydgoszcz in September, expect Philadelphia to be somewhat warmer, temps between 31°C and 20°C. Wrap up your sightseeing on the 3rd (Tue) early enough to take a train to Washington DC. Washington DC is known for museums, historic sites, nightlife, zoos & aquariums, and parks. Your plan includes some of its best attractions: see the interesting displays at National Air and Space Museum, get a sense of history and politics at White House, explore the world behind art at National Gallery of Art, and meet the residents at National Zoological Park. You can take a train from Philadelphia to Washington DC in 2 hours. Alternatively, you can drive; or take a bus. In September, plan for daily highs up to 32°C, and evening lows to 21°C. Wrap up your sightseeing on the 6th (Fri) early enough to travel to Miami. Start off your visit on the 7th (Sat): examine the collection at Vizcaya Museum and Gardens, take a stroll through Lincoln Road, kick back and relax at South Beach, then appreciate the extensive heritage of Art Deco Historic District, and finally buy something for everyone on your list at Bayside Marketplace. On the 8th (Sun), you'll have a packed day of sightseeing: immerse yourself in nature at Oleta River State Park, then shop like a local with Aventura Mall, then get outside with JP Outfitters Inc., and finally enjoy some diversion at Lock & Load Miami. To find ratings, where to stay, more things to do, and tourist information, read our Miami day trip planning site . Fly from Washington DC to Miami in 4.5 hours. Alternatively, you can do a combination of train and flight; or drive. Expect somewhat warmer temperatures when traveling from Washington DC in September; daily highs in Miami reach 38°C and lows reach 29°C. Finish your sightseeing early on the 8th (Sun) to allow enough time to travel to New Orleans. On the 9th (Mon), admire the landmark architecture of St. Louis Cathedral, see the interesting displays at The National WWII Museum, then get to know the fascinating history of Garden District, and finally partake in some friendly competition at Clue Carre - New Orleans' First Live Escape Game. Get ready for a full day of sightseeing on the 10th (Tue): stop by Faulkner House Books, get to know the fascinating history of French Quarter, then see the interesting displays at Cabildo, and finally stroll through New Orleans City Park. For other places to visit, ratings, traveler tips, and tourist information, use the New Orleans trip itinerary tool . Fly from Miami to New Orleans in 4.5 hours. Alternatively, you can do a combination of bus and flight; or drive. Traveling from Miami to New Orleans, you'll gain 1 hour due to the time zone difference. Traveling from Miami in September, expect nights in New Orleans to be a bit warmer, around 33°C, while days are little chillier, around 33°C. Wrap up your sightseeing on the 10th (Tue) early enough to drive to Memphis. 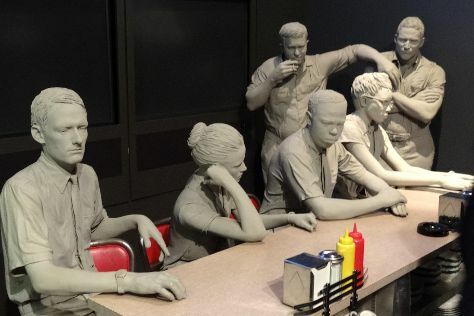 Kick off your visit on the 11th (Wed): don't miss a visit to Graceland, steep yourself in history at Sun Studio, then get engrossed in the history at National Civil Rights Museum - Lorraine Motel, and finally contemplate the long history of The Peabody Ducks. Use Inspirock's suggestions to plan your Memphis trip and find the best activities and attractions for your vacation. Getting from New Orleans to Memphis by car takes about 7 hours. Other options: fly; or take a train. Traveling from New Orleans in September, Memphis is a bit cooler at night with lows of 23°C. Wrap up your sightseeing on the 11th (Wed) to allow time to travel to Dallas. Start off your visit on the 12th (Thu): make a trip to Top O'Hill Terrace, get your game on at The Escape Game Dallas, see the interesting displays at Perot Museum of Nature and Science, then examine the collection at The Sixth Floor Museum at Dealey Plaza, and finally take in panoramic vistas at Reunion Tower. You can fly from Memphis to Dallas in 4 hours. Alternatively, you can drive; or take a bus. Expect a daytime high around 39°C in September, and nighttime lows around 26°C. Wrap up your sightseeing on the 12th (Thu) early enough to travel to Los Angeles. Go for a jaunt from Los Angeles to Anaheim to see Disneyland Park about 36 minutes away. Pack the 14th (Sat) with family-friendly diversions at Universal Studios Hollywood. And it doesn't end there: examine the collection at The Getty Center, put a fun spin on your tour with Fantastic Race, appreciate the extensive heritage of Santa Monica Pier, and see the sky in a new way at Griffith Observatory. To find traveler tips, reviews, more things to do, and more tourist information, read our Los Angeles online itinerary planner . Getting from Dallas to Los Angeles by flight takes about 5 hours. Other options: do a combination of flight and bus; or drive. The time zone difference moving from Central Standard Time to Pacific Standard Time is minus 2 hours. Traveling from Dallas in September, expect Los Angeles to be slightly colder, temps between 34°C and 22°C. Finish your sightseeing early on the 15th (Sun) to allow enough time to travel to San Francisco. San Francisco is known for nature, museums, nightlife, shopping, and childrens museums. Your plan includes some of its best attractions: snap pictures at Golden Gate Bridge, explore and take pictures at AT&T Park, make a trip to Golden Gate Park, and wander the streets of SoMa. For maps, reviews, and more tourist information, go to the San Francisco trip planning website . Traveling by flight from Los Angeles to San Francisco takes 4 hours. Alternatively, you can do a combination of flight and train; or drive. In September, San Francisco is a bit cooler than Los Angeles - with highs of 28°C and lows of 17°C. Finish up your sightseeing early on the 18th (Wed) so you can travel to Yellowstone National Park. Spend the 21st (Sat) surrounded by wildlife at Grand Teton. Spend the 20th (Fri) exploring nature at Yellowstone National Park. 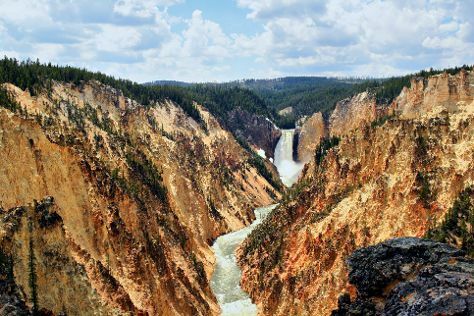 There's lots more to do: take in breathtaking views at Grand Canyon of the Yellowstone, take in the natural beauty of Grand Prismatic Spring, look for all kinds of wild species at Hayden Valley, and explore the activities along Yellowstone Lake. To see maps, where to stay, more things to do, and other tourist information, use the Yellowstone National Park vacation maker . Traveling by combination of flight and car from San Francisco to Yellowstone National Park takes 6 hours. Alternatively, you can do a combination of flight, shuttle, and car; or drive. The time zone difference when traveling from San Francisco to Yellowstone National Park is 1 hour. Traveling from San Francisco in September, you will find days in Yellowstone National Park are a bit cooler (18°C), and nights are colder (0°C). Finish your sightseeing early on the 23rd (Mon) to allow enough time to travel to Salt Lake City. Start off your visit on the 24th (Tue): get a new perspective on nature at Natural History Museum of Utah, then take in nature's colorful creations at Red Butte Garden, then take in breathtaking views at Big Cottonwood Canyon, and finally contemplate in the serene atmosphere at Temple Square. For maps, photos, traveler tips, and other tourist information, use the Salt Lake City trip itinerary maker tool . You can do a combination of car and flight from Yellowstone National Park to Salt Lake City in 3.5 hours. Alternatively, you can drive; or do a combination of car, shuttle, and flight. Expect much warmer temperatures when traveling from Yellowstone National Park in September; daily highs in Salt Lake City reach 32°C and lows reach 17°C. Finish up your sightseeing early on the 24th (Tue) so you can travel to Colorado Springs. Kick off your visit on the 25th (Wed): have some family-friendly fun at Battlefield Colorado, then explore the striking landscape at Red Rock Canyon, then contemplate the long history of Rock Ledge Ranch Historic Site, and finally tour the pleasant surroundings at Garden of the Gods. Get ready for a full day of sightseeing on the next day: find something for the whole family at North Pole - Santa's Workshop, then examine the collection at Penrose Heritage Museum, then learn about all things military at National Museum of World War II Aviation, and finally shake up your sightseeing with a climbing tour. To find reviews, maps, ratings, and more tourist information, read our Colorado Springs road trip planning tool . You can fly from Salt Lake City to Colorado Springs in 3 hours. Alternatively, you can do a combination of flight and shuttle; or drive. Plan for a bit cooler nights when traveling from Salt Lake City in September since evenings lows in Colorado Springs dip to 12°C. Wrap up your sightseeing on the 26th (Thu) early enough to travel to Sioux Falls. Sioux Falls is the largest city in the U.S. Start off your visit on the 27th (Fri): trek along Sioux Falls Bike Trails, tour the pleasant surroundings at Falls Park, then explore the engaging exhibits at Stockyards Ag Experience, and finally pause for some serene contemplation at St. Joseph Cathedral. To find other places to visit, traveler tips, where to stay, and other tourist information, read our Sioux Falls day trip planning website . Fly from Colorado Springs to Sioux Falls in 5.5 hours. Alternatively, you can do a combination of shuttle and flight; or drive. Traveling from Colorado Springs to Sioux Falls, you'll lose 1 hour due to the time zone difference. In September, daytime highs in Sioux Falls are 28°C, while nighttime lows are 15°C. Finish your sightseeing early on the 27th (Fri) to allow enough time to travel to Chicago. Chicago is known for museums, historic sites, nightlife, zoos & aquariums, and childrens museums. Your plan includes some of its best attractions: explore the world behind art at The Art Institute of Chicago, meet the residents at Lincoln Park Zoo, admire the local landmark of Buckingham Fountain, and examine the collection at The Field Museum. To find ratings and tourist information, read our Chicago trip planner . Getting from Sioux Falls to Chicago by combination of car and flight takes about 5 hours. Other options: fly; or drive. Traveling from Sioux Falls in September, you can expect nighttime temperatures to be a bit warmer in Chicago, with lows of 19°C. Finish your sightseeing early on the 30th (Mon) to allow enough time to travel to Niagara Falls. Start off your visit on the 1st (Tue): take in the dramatic scenery at Niagara Falls, then enjoy breathtaking views from Niagara Falls Observation Tower, then immerse yourself in nature at Whirlpool State Park, and finally get outside with Niagara Jet Adventures. On the next day, trek along Niagara Gorge Trail, then Head underground at Cave of the Winds, and then admire the majestic nature at Goat Island. To find other places to visit, more things to do, reviews, and tourist information, use the Niagara Falls trip itinerary builder app . Traveling by combination of flight and bus from Chicago to Niagara Falls takes 5 hours. Alternatively, you can do a combination of flight and train; or drive. Due to the time zone difference, you'll lose 1 hour traveling from Chicago to Niagara Falls. Expect a daytime high around 20°C in October, and nighttime lows around 9°C. Cap off your sightseeing on the 2nd (Wed) early enough to travel to New York City. New York City is known for museums, nightlife, shopping, historic sites, and parks. Your plan includes some of its best attractions: explore and take pictures at Central Park, take in panoramic vistas at Empire State Building, appreciate the history behind Statue of Liberty National Monument, and don't miss a visit to Times Square. For other places to visit, reviews, maps, and more tourist information, read New York City online trip planner . Traveling by combination of bus and flight from Niagara Falls to New York City takes 5.5 hours. Alternatively, you can do a combination of bus and flight; or drive. In October, New York City is a bit warmer than Niagara Falls - with highs of 24°C and lows of 16°C. Wrap up your sightseeing on the 5th (Sat) to allow time to travel to Boston. Start off your visit on the 6th (Sun): get to know the fascinating history of Louisburg Square, then admire the natural beauty at Boston Public Garden, then admire the masterpieces at Museum of Fine Arts, and finally explore and take pictures at Fenway Park. To see maps, where to stay, photos, and tourist information, use the Boston tour itinerary maker website . You can do a combination of bus and flight from New York City to Boston in 3 hours. Alternatively, you can fly; or drive. Traveling from New York City in October, things will get little chillier in Boston: highs are around 20°C and lows about 11°C. Finish up your sightseeing early on the 6th (Sun) so you can travel back home.